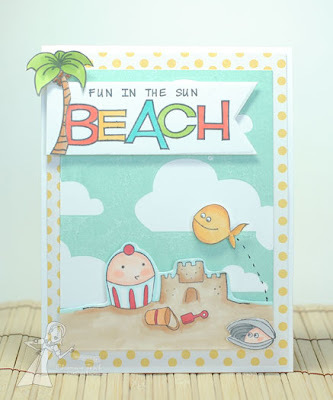 When I first read the theme for this month, I panicked a little. . .only because I usually stick to using one stamp set for most of my creations. About the only thing I'll mix and match is a sentiment from one set with an image from another set. So, when I set out to look through my TE stamps and figure out which 3 or more sets I was going to use, I thought a background was a good place to start. 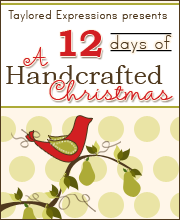 I just LOVE the Cloudy Days Background stamp and haven't used it in a long while, so I started with that. Once I had my background, that pretty much dictated the "style" I needed to look for in the other stamps. I thought fun and cute was the theme. My next selection was the Beach Bum set. This is an old favorite of mine. I thought the sandcastle image would be perfect with the cloud background. Next in my selection was the sentiment. I chose the Beach a la Carte. It was a nice, big and bold sentiment that I thought complimented the scene very well. I just had to alter it a little. The palm tree is actually on the right side when stamped. I omitted it, then stamped it separately and cut it out and adhered it to the left side to work with my layout. The sentiment was die cut using the Banner Stacklets 1. Just because I wanted to add a little more to the scene, I went ahead and chose a 4th stamp set. The mussel and fish are from the Under the Sea set. I stamped them each, colored them with Copic markers and added them to the scene with foam tape. So, when I started the card, I decided on fun and cute since that's what the background was. Once I selected the Beach Bum set, the rest of my card was dictated by a "beach theme". That made selecting the rest of the sets much simpler. Give it a try! It's not as hard as you think! 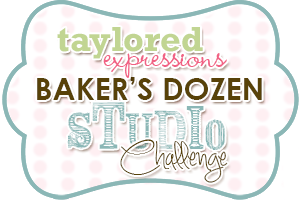 ;) I'm excited to see what the rest of the Baker's Dozen used for their creations!! Super sweet and cute, Charmaine! 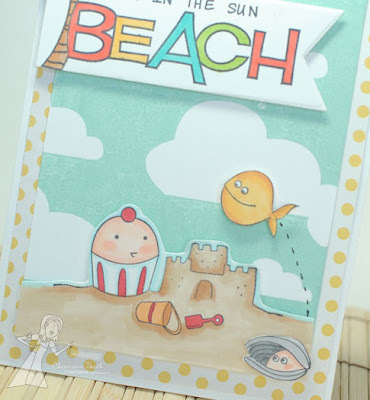 Love this fun beach scene! Adorable card, Charmaine! The Cuppie is so CUTE and I love the beach scene! 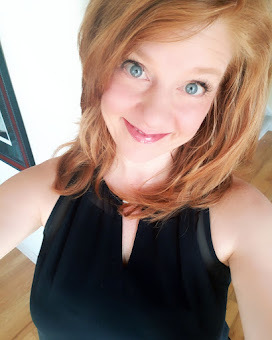 Hope you're having a great week! Ohhhhhh sooooooo cuteeeee!!! LOVE LOVE LOVE this scene with sweet Cuppie building a castle and the darling fishy jumping out - simply beyond cute cute cute!!! Love it !!! Thanks so much for stopping by my blog and leaving such a sweet comment today! 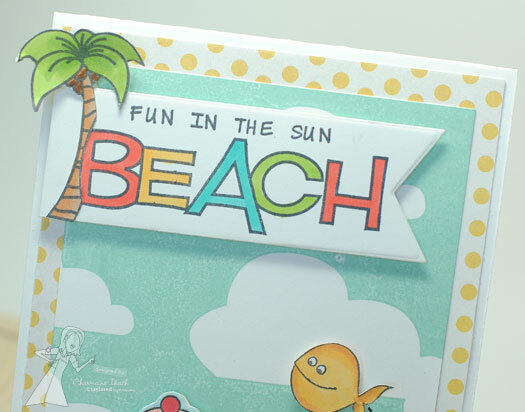 This is definitely a fun card, Charmaine! I love everything about how cute and summery it is! Thanks so much for allowing me to play along with you gals! It was so much fun!